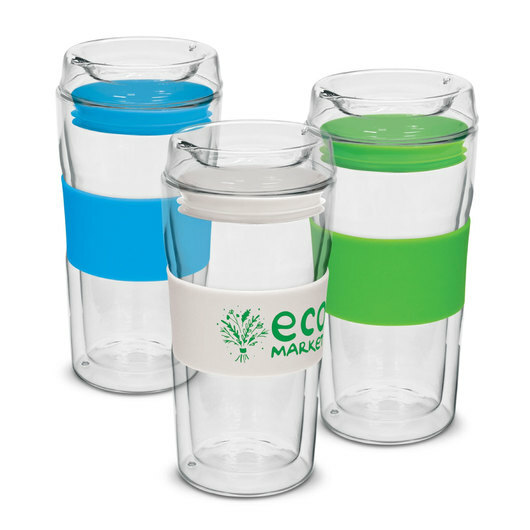 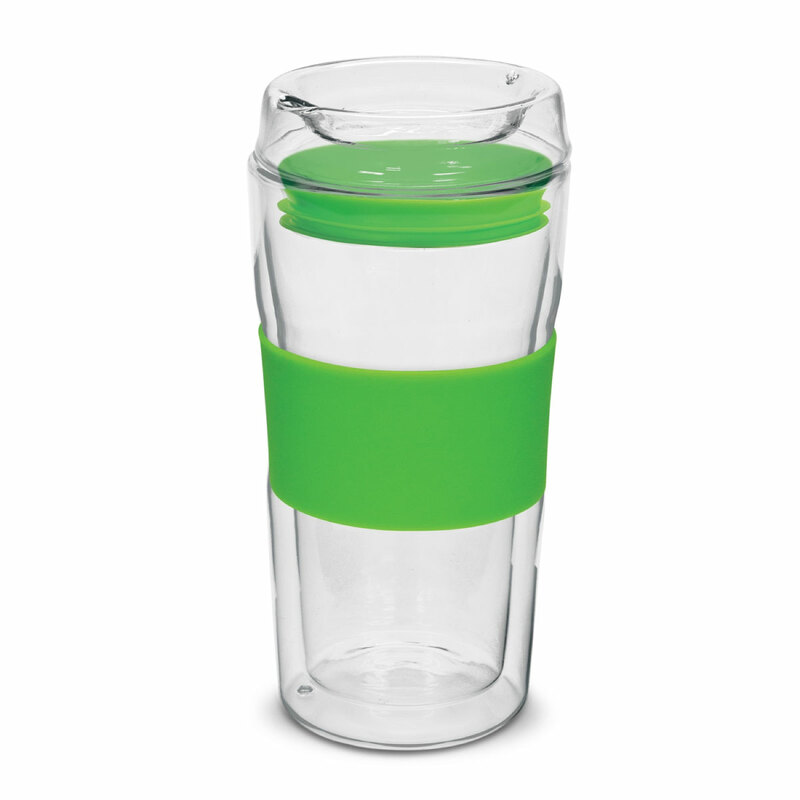 A premium double wall glass Eco cup with your re-usable branding. 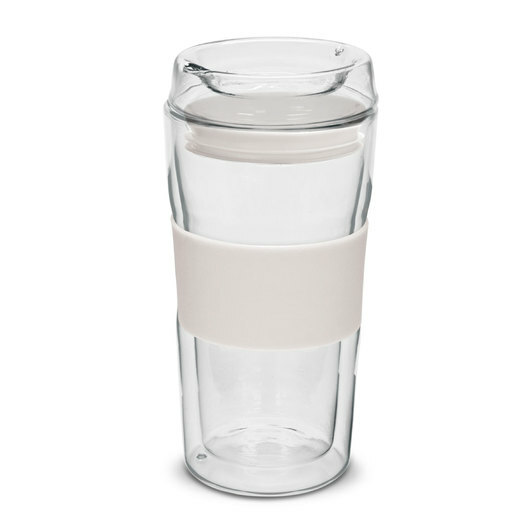 With a premium borosillicate glass make and on trend silicone accents these re-usable coffee cups are quickly becoming a red hot favourite! They feature a double wall build, keeping drinks hot or cool for longer and leaving no condensation on the outside of the cup as well as a large silicone band and push on glass lid with secure silicone seal. Borosilicate glass is lightweight, strong and shatter resistant. Comes presented in a white box and is dishwasher safe when branding is on the band.